Satoyu Trading Pte Ltd was established in 1981. We are headquartered and warehoused in Pasir Panjang Wholesale Centre with a work force of more than 80 employees. Our business started out as a humble fruit ripening agent, wholesaler of fresh fruits and vegetables in our earlier years. Over a period of time, we are now amongst the top in the fruit ripening business. 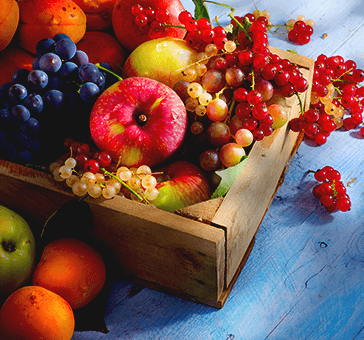 With in-house facilities, we continue to excel at providing ripening services of all imported fruits. In 2003, Satoyu Trading secured the sole distributorship of Dole Tropical Fresh Produce (Dole bananas, Tropical Gold pineapples and Hawaiian Solo papayas from the Philippines.) in Singapore. Distribution of fruits are effectively collaborated with our strategic alliances; mainly all major supermarkets and wholesalers. With many years of experience in the fresh produce industry, we have ventured into retailing and started our flagship outlet in Chevron House (previously known as Caltex House.) Today, we have an establishment of 8 retail outlets (SunMoon) in the city area. We aim to bring fruits of freshness, quality and convenience to everyone. To extend the benefits of a healthy lifestyle by providing convenience and affordable fresh produce to individuals and households.